KINDLY NOTE – We provide 6 kinds combo for choice, and each combination has its own fishing rod + fishing reel + nylon line and the same dry bag with zipper. 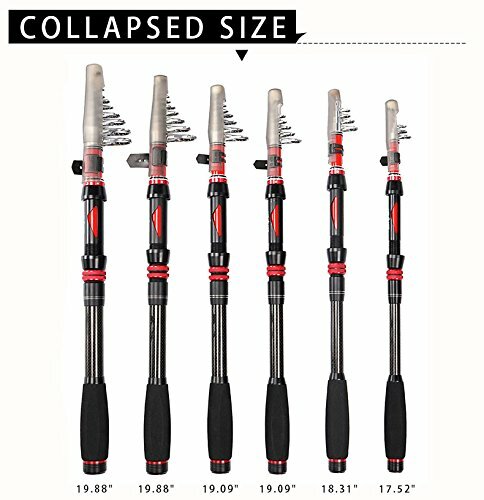 You can use them for both freshwater and saltwater fishing. 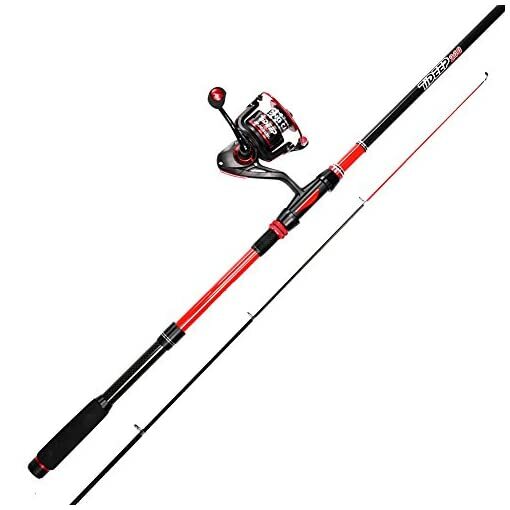 FISHING ROD – Perfect elasticity and telescopic design. 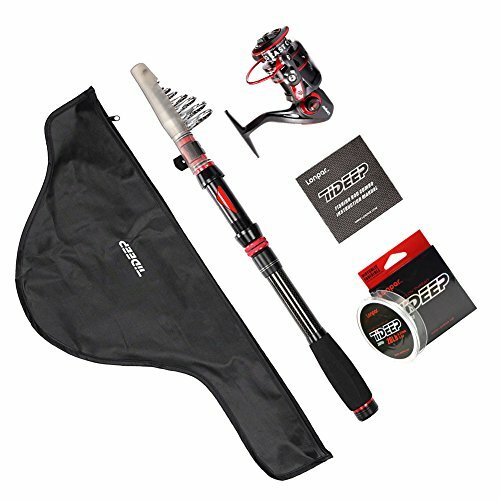 High density carbon fiber mixed with fiber glass blank makes your fishing rod strong and durable, flexible. 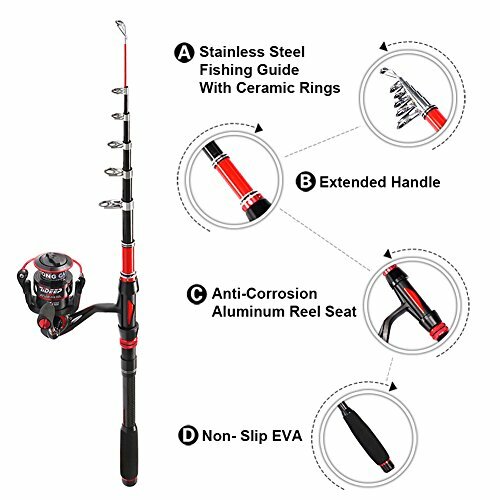 Stainless steel guides with ceramic rings make longer casts and reduce friction for the line. Have 1.8m, 2.1m, 2.4m, 2.7m, 3.0m, 3.3m. FISHING REEL- Full graphite body, reel foot, gears and heavy-duty aluminum bail wire offer 20% higher durability. 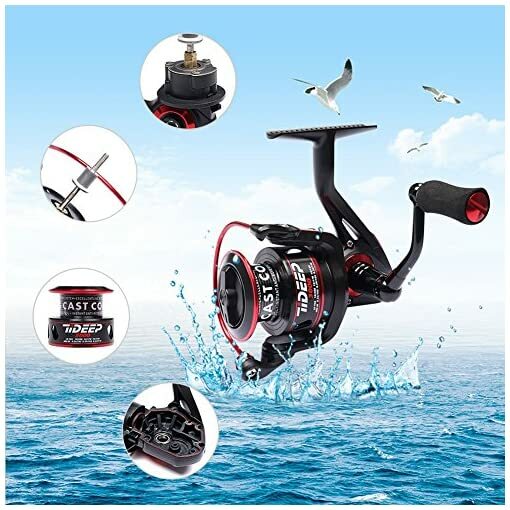 8+1BB super efficient sliding bearing plus one gapless instant stop one-way bearing reaction system offer ultra smooth gear feeling. Gear ration is 5.2:1. Left/Right exchangeable CNC machined handle with soft EVA knob. Have 2000,3000,3500,4000. HIGH COST PERFORMANCE COMBO – This telescopic combo is light weight and portable, easily fits in car trunk, boat hatch or backpack. 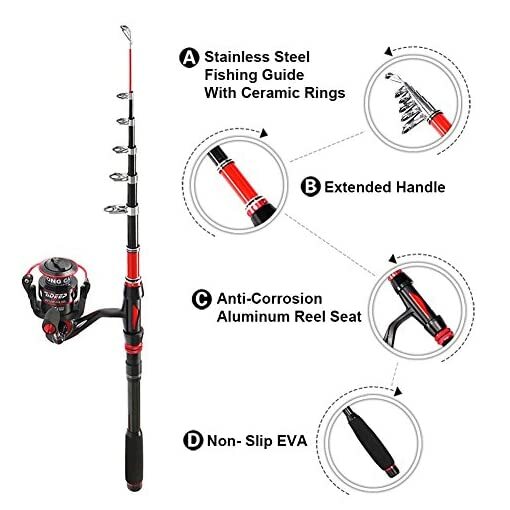 Allow you to travel to your favorite fishing spot and enjoy fishing whenever and wherever you want. WARRANTY – We are proud to present you the worry-free 1 year warranty! If any problem, please contact us firstly and our customer service will solve it for you soon.